ZETTLER GROUP operating companies in Asia are located in both Mainland China, and Hong Kong. 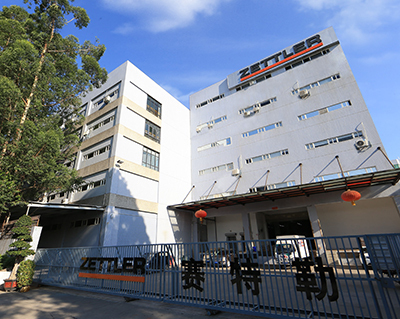 Located in Xiamen, Fujian province, ZETTLER CHINA is a core manufacturing source for the international ZETTLER Group companies, as well as the sales and distribution arm for all ZETTLER branded product lines in Mainland China, supported by additional sales offices in tShanghai and Dongguan. Operating divisions include state-of-the-art R&D, engineering, clean-room manufacturing and testing facilities for Relays, Magnetics, LCD Panels and Modules as well as Thermistor Sensors. Our production lines feature stringent quality controls and testing, along with all major certifications and environmental safety compliances including ISO9001 and ISO14001. Xiamen ZETTLER Electronics Co. Ltd. is an industry leading, high-tech manufacturing and distribution company, specialized in state-of-the-art design and production of high quality LCD, LCM and TFT panels and complete display modules for Home Appliances, Automotive, Telecom, Consumer Electronics as well as Industrial and Metering applications. In addition to an extensive list of standard products, ZETTLER’s experienced display R&D staff can modify displays to meet the most demanding client requirements in a range of integrated solutions, or deliver complete custom designs to given specifications. Xiamen ZETTLER Magnetics Co. Ltd. designs, produces and sells a variety of transformers and inductors, including switching power modules, power and laminated transformers, toroidal transformers, sealed/encapsulated transformers, and a series of sealed Thermistor Sensors, available in plastic housing, metal housing or combined formats, as well as custom designs for specialized applications. Core market segments served include Home Appliances, Industry/Control applications as well as Meters and Medical Instruments ; customers include some of the top brand names in consumer appliances and electronics. Xiamen ZETTLER Relay Co. Ltd. develops and manufactures electro mechanical relays for various applications such as Solar Inverters, Home Appliances, HVAC/R controls and metering. The company also sells and distributes the full line of Zettler branded relay products in the domestic Chinese market to a broad range of customers in a variety of industries. Ningbo ZETTLER Electronics Co. Ltd. in Yuyao (Zheijang) serves as a prominent development and production resource for ZETTLER relays, serving Automotive, Industrial, Appliance, Solar, Power, and other industry segments. ZETTLER Controls (Ningbo) Co., Ltd. in Ningbo (Zhejiang), develops and manufactures a broad line of top quality bi-metal thermostatic components including defrost, snap-action, water heater and appliance thermostats, defrost timers and various thermal bi-metal components. ZETTLER Hong Kong provides world-class engineering, sales, logistical and technical support, as well as contract manufacturing services to customers throughout the Asian markets – many of them Fortune 500 companies. ZETTLER Hong Kong also serves as a convenient Asian logistics support hub for some of Zettler’s North American customers. The company operates three product specific divisions. ZETTLER Electronics, Hong Kong, Ltd. services the market segments for Relays as well as the Magnetics product lines. ZETTLER Displays, Hong Kong, Ltd. handles sales, customer support and distribution functions for a product line ranging from LCD modules to digital TFTs. Finally, ZETTLER Controls, Hong Kong, Ltd. caters to the specific component solutions for clients in the heating and air conditioning (HVAC/R) industry.